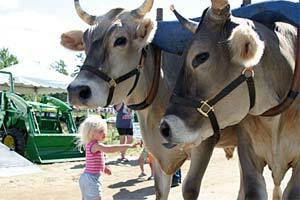 The Blue Hill Fair is a true “Down to Earth” Country Fair. Always scheduled around Labor Day weekend, the fair boasts of some of the finest entertainment, attractions, and exhibits. Situated in the small coastal town of Blue Hill, Maine, at 233 Ellsworth Road, the Fair draws thousands from all over the state to enjoy a fun-filled weekend.